You take control of a ragtag band becoming a highly functional group of unlikely heroes and heroines. The very different strong personalities struggle to cooperate at first, but ultimately join forces to combine their distinctive specialties and challenge a seemingly superior foe. 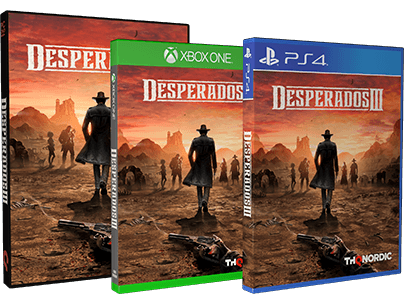 This game is heavily inspired by the first game of the franchise, Desperados: Wanted Dead or Alive and is being developed by Mimimi Games.